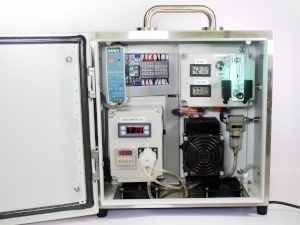 A custom designed single or multiple sensor sampling system suited for monitor of gas or vapor atmospheres from extreme environments containing temperature, humidity, particulate or pressure challenges. To download specification sheet click here. Weatherproof IP rated enclosure for outside locations or as required for site secure installations.